In June, we posted about Pittsburgh’s Ghost Bike project, in which activists memorialize bicyclists killed by cars. 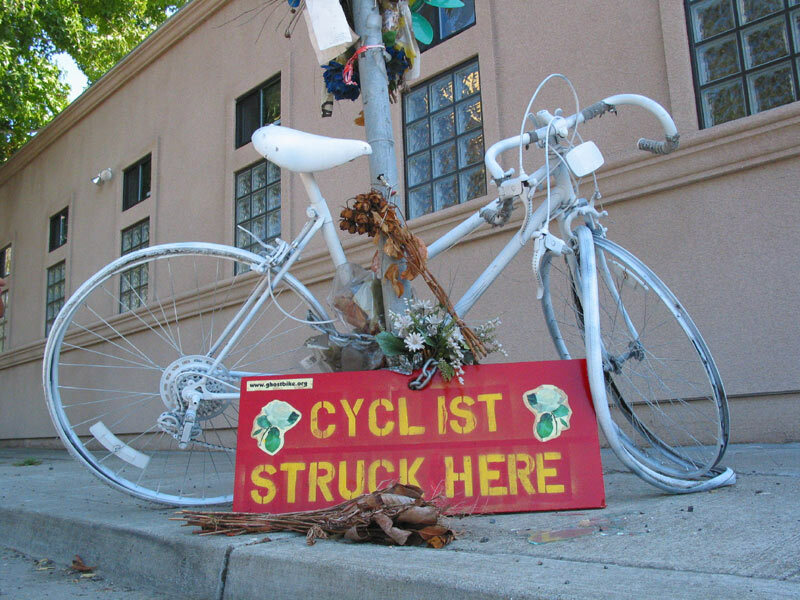 To create a ghost bike, an old bicycle is painted solid white and chained to a pole along with a sign designed to raise consciousness of passing motorists. A couple of months ago, Stacia and I retrieved the bicycle Matthew was killed on from police storage, and discussed the possibility of making it a ghost bike. 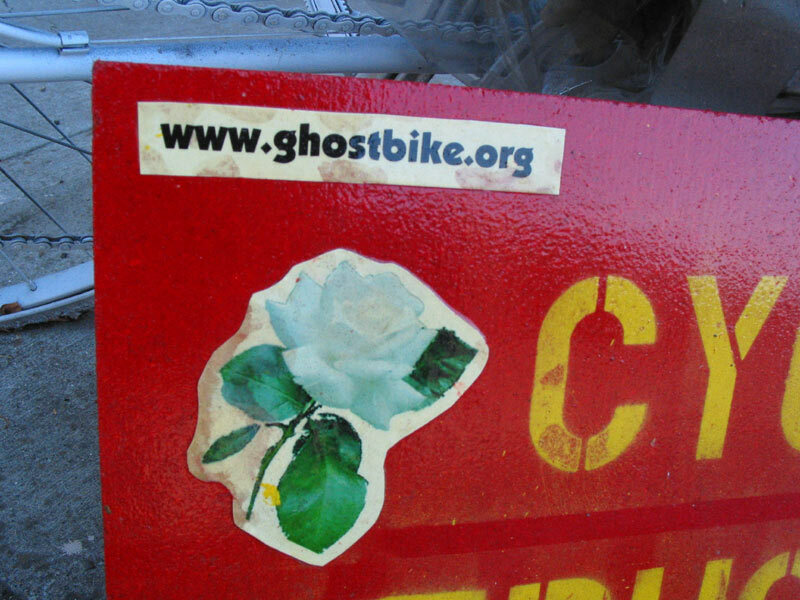 Then last week, passing through Emeryville, I discovered that someone had put up a ghost bike at the site of Matthew’s death. Asking around, I heard it had been up for a few weeks, but still have no clear idea who set it up. Matthew’s ghost bike probably won’t last long – the city is bound to cut the chain and remove the monument before long. If you want to pay the bike a visit, now is the time. And to whoever set this up: A heartfelt thank you from all of Matthew’s friends and family. (Note: This is not Matthew’s bike – I don’t know where this bike comes from. Matthew’s bike is safe in my garage, spookily undamaged, or almost).